I hope everyone had a great Breeder’s Cup weekend. I was true to form. Friday always seems to be a better day for me. This year I hit either win, exacta or both in all four Friday races and was well on my way to my best BC ever. On the other hand, on Saturday I was having a mediocre (that’s code for losing) day. I had a nice hit on the smallish exacta in Race 12, keeping me well on the plus side for the weekend. It was a really great way to end the biggest part of the racing year. I’ve never known a summer to fly by so quickly. One morning the leaves were forming on the trees, a few mornings later they were falling off. I suppose the brief summer was related to how little I got to enjoy it. In March I was diagnosed with a rare form of bone marrow-cancer. For a few months while I was taking killing doses of chemo I rarely got outside. Going from the couch to the refrigerator and back consumed so much energy I would need a nap to recover. I won’t go into the details, other than to say I wouldn’t wish how I felt on anyone. It sounds kind of corny, but without horseracing I’m not sure I would have gotten through the summer, short as it seemed. I was able to post selections and write some opinion pieces. When I didn’t – or couldn’t – do anything else, I always had a racing form to look at, or Twitter to read, or a blog to write. Racing kept me occupied. I don’t know what I would have done without it. I couldn’t eat very much – I’ve lost 25 pounds without trying. And if I did eat it was a small portion of something bland and uninteresting. Exercise was out of the question. Most days it was me on the couch either catching up on all the programs and movies I’ve taped, or watching a baseball game (I watched a lot of baseball), or betting races. I’ve cut back on publishing selections. Just didn’t have as much energy as I needed to handicap every day. I also stopped participating in most of the discussions on racing boards. Same reason. Chemotherapy kicks the hell out of you. The good news is that the chemo seems to be working. I’m functioning a lot better, and the couch isn’t getting quite the workout it got during the summer. The bad news is that I may have six more months of it. I’ve adjusted to the dosage enough so that I can go to the grocery store, putz around the house, things like that. I’m still not better than 70% on a good day though. I’ve had a lot of friends stop by to see me and my family has been great. The support makes all the difference in the world. I want to say thanks for that. Some of you may know that I’ve qualified for the NHC in January. No way I’m going to miss that. I have no delusions about winning. I’m just happy to be going. For those reasons I’m only publishing picks for AQU on Saturday until after the NHC. I’ll still be publishing blogs and looking into racing issues, so please continue to check the site. Thanks to everyone who follows my picks. 7 Moonshine Memories. Undefeated filly meets her toughest field by far. If she runs back to any of her races she looks solid. 10 Hogy is a veteran sprinter. Since he is a strong closer, the post position is of little concern. It looks to me like he has enough talent and speed to challenge for the win. 1 Disco Partner has had an exceptional year, with four wins in five races. May not be fast enough to get the right position in such a short race. 3 Lady Aurelia ran a very good race in the Coolmore Nunthorpe Stakes. She had a clear lead in that no-turn race and lost by the slimmest of margins. She’s proven against males, and it looks like five furlongs a good distance for her. 6 Marsha only has two wins this year, one the aforementioned Coolmore Nunthorpe, but has consistently been in the top three finishers. Possible. This is a very competitive race with at least seven horses generating interest. I’m leaning toward 9 Finley’sluckycharm. She’s been first or second in all but one race. She’s shown great speed and has a win in two tries at the distance. Strong possibilities. 11 Unique Bella is the likely favorite and would be no surprise in the win slot. However, the 9/5 odds are making me look elsewhere for a win bet. 8 Constellation has had four seconds in four races this year. That was enough to move the horse from Hollendorfer to Baffert. I’m going to suggest that move is a enough to make the horse a major contender. 9 Lady Eli is my sentimental favorite. She’s not as good as she was before she contracted laminitis but I think she’s come back like a champion would. At her best she is untouchable. 6 Cambodia has not won any Grade 1 events but has a good record, good pace numbers and two wins in two races at Del Mar. 1 War Flag is 9 for 9 in the money. The Del Mar Turf with it’s short stretch will be a test for her. The strategy is to figure out if there is any horse that can beat 2 Defrong. While Defrong hasn’t lost a race since 2015 (throw out the race where he lost his jockey) and nobody has been very close. The only horse that I thought could give him trouble was 7 Takaful. He’s got plenty of speed and should be the one to catch. 8 Roy H is second choice on the Morning Line, a bit of a surprise to me. Still, he’s had success in graded races and his race in the True North might have beat all of these. 10 Imperial Hint is 4 for 4 this year, but I don’t think he’s in quite the same class as the first two, but he’s shown plenty of talent. Backhole horses: 3 American Pastime, 8 Ransom the Moon. As the turf races get longer the Euros look better. In the turf mile 10 Ribchester looks best. He’s got multiple G1 wins and excellent pace figures. 5 World Approval is 2 for 2 since moving to the mile distance. That’s enough to put him in the exacta. 2 Heart to Heart has the top pace figure and would be no surprise. 11 Bolt d’Oro. Look at his past performance. ’nuff said. 2 Solomini. Baffert’s contribution. If not for Bolt d’Oro he might be undefeated. 3 Firenze Fire should enjoy the stretch out. Once again I am looking at the Euros first. 5 Ulysses ran well in the Arc de Triomphe and hasn’t run out of the money this year. 14 Oscar Performance is my long shot pick here. Solid American horse. 12 Beach Patrol has won over a million dollars this year and has to be respected. 10 Pavel. Watch the video of his last race. He gave 100% to stay near one of the best closers, Keen Ice and was making up ground on the winner Diversify. If anyone can pull off the big upset it’s Doug O’Neill. 5 Gun Runner has simply run the best pace figure of any horse in the 2017 BC. Can’t ignore that number. 8 West Coast is this year’s Arrogate. He should be at the top of his game and is every bit as tough as Arrogate. 1 Arrogate hasn’t looked nearly as spectacular as he did through the Dubai World Cup, but he’s still Arrogate and he’s still dangerous. The first day of Breeder’s Cup 2017 looks very competitive, and includes a talented European contingent. Let’s take a look at the Friday races. 7 Hard Aces is the early favorite, and deservedly so. He was second in this race last year and should have no trouble at today’s distance. He’s also been competing against graded horses all year. He’s reasonably comfortable at Del Mar. Hard to imagine he doesn’t run in the top three. 3 Destin was very good as a three year old, but he’s only had three starts this year, the last one a disappointing 5th in the JCGC. He’s not raced at a mile and a half or farther since just missing last year’s Belmont. He’s bred well enough for the distance and I like his pressing style. Pletcher is a clever trainer and I think maybe he had a plan with Destin. I’m going to take a (small) stab with him. 1 Archanova has had something of down year with no wins in six races, but has shown a little bit more talent racing at longer distances . 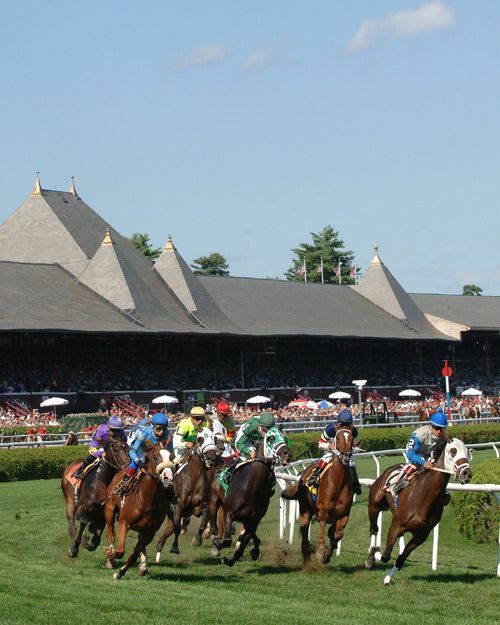 Hs last two races were encouraging, especially the Birdstone at Saratoga at today’s distance. I couldn’t put him in the top three – especially if he is anywhere near the 4-1 morning line odds – but it wouldn’t be a total surprise if snagged a minor piece of the purse. 8 Dressed in Hermes is a back hole prospect. My selections are 7 – 3 – 4, with 1 and 8 backhole prospects. This should be one of the more competitive races in the Breeder’s Cup. My advice is to start with the horses that have done well in the top prep races – Moyglare Stud Stakes and the Cheveley Park Stakes in Europe, and the Miss Grillo, Natalma Stakes and Jessamine in North America. While European horses haven’t done much in this race since it was instituted, things might be different this year with half the field having started across the pond. At one time the Miss Grillo was THE prep race, but in the last couple of years Miss Grillo winners have not been as dominating. Still, it gets most of the top 2 year old grass fillies in New York. There is nobody better at prepping a young turf filly than Chad Brown and that is where I am going in this race. 8 Significant Form is making her third start in this race and clearly this is what Brown had in mind for this horse. 2 Happily is one of Aiden O’Brien’s top young fillies, having won the prestigious Moyglare Stud Stakes and Prix Jean-Luc Lagardere, both Group 1 races. Two issues to consider with this horse: all but one of her races was on a softened turf, and the Euros race turf sprints on the straight. Experience around turns is often an important element of winning these races. Still, she is a talented horse and gets the nod for second. 1 Best Performance started out on the dirt and that is where her only win came. Since then she has not been able to finish first, but her four seconds in a row suggest that she’s got a lot of talent. Certainly at the odds she’s worth putting into the verticals. 11 Rushing Fall is the other Chad Brown horse. She won the Jessamine at Keeneland on the soft turf and should be running well in the stretch. There are at least five other horses who have a chance to make the exacta/trifecta. 13, Juliet Capulet, 12 Dixie Moon, 6 Orbolution, 7 Capia Temptress, and 10 September. This figures to be an exciting race. Sharp Azteca, Mor Spirit, Battle of Midway, Cupid, Accelerate, and Practical Joke are all good enough to win. I’m going to put 3 Sharp Azteca on top. He seems to be in top shape – check out the work at Del Mar of 58.3. There is plenty of speed in this race, although none of them should touch the top choice if jockey Paco Lopez decides to let him run loose. 9 Battle of Midway is an interesting horse. He should be tracking the front group and clearly he’s a better horse at a mile than at longer distances. He’s listed at 10-1 in the program, but I expect the odds to be higher. 6 Mor Spirit is 3 for 3 at the mile distance, including an explosive victory in the Met Mile. Unfortunately that race completely depleted him and trainer Bob Baffert gave him close to five months off. If he’s recovered, he’s a major player. Mike Smith stays around for the ride and that is a plus in these big races. 8 Accelerate is the hometown horse, with 2 wins, a second and a third in four starts at Del Mar. He’s aptly named since not only can he run near the front, he can close with burst. He’d be no surprise in this affair. The other horses I’ll look at in the verticals are 2 Giant Expectations, 5 Awesome Slew and 10 Practical Joke. Another race where there are a lot of contenders. I’m going to go with one of the Euro’s, 1 Mendelssohn. Of all the Euros, I think he’s the likeliest to adapt to the Del Mar Turf. He went off at 50-1 and finished a strong second in his prep, the Group 1 Darley Dehurst Stakes at Newmarket. He seems to be on the improve, and while you won’t get 50-1 I’m sure he’ll be bettable. 13 My Boy Jack is the West Coast entrant here. He’s only won one race, the West Coast Prep for today’s race, but he definitely looked like a horse on the serious improve. He’s lost a couple of times to Encumbered, but I like his chances of turning that around. 6 Masar is the lowest odds Euro coming into this race. He really came into his own at Chantilly in France, and while he might be underlayed at 9-2, he looks to have good outs. 9 Encumbered is 15-1 on the ML, but he’s a better horse than that. He was buried in the Front Runner, but that race was on the dirt. In his last two races on the turf he was a solid winner. I think he might be ignored because of that last race, but he seems to love the Del Mar turf and that makes him a real contender. Other horses to look at include 2 Untamed Domain, 5 Masar, 7 James Garfield, and12 Hemp Hemp Hurray. Of the Friday races, this may be the most predictable. There are three horses at 15-1 or better, and they should be. The other five horses are between 5/2 and 9/2. It would be an enormous upset if one of those five horses didn’t win the race. I’m putting 5 Elate on top. She looks to be on top of her game, crushing a field of seven in the Beldame and dominating in the Alabama. She’s a 3-year old that seems to really be coming into her own. 2 Stellar Wind has been beautifully handled by trainer John Sadler. She has the appearance of a horse with some physical issues, but if Sadler has her at the top of her game, she’s a major contender. 4 Abel Tasman has had a very good year, not finishing worse than second in any of her six races. She’s 2 for 2 at the distance and one out of two at Del Mar.If there is such a thing as home field advantage it might be this horse. 6 Forever Unbridled is a grinder that is almost 50% win for her career. She’s only had two starts this year, but they were both wins. I like the change of riders from Rosario to Johnny V.
7 Paradise Woods has some backhole chances.